Colorado Parks and Wildlife (CPW) has issued voluntary fishing closures across Colorado. This is in response to the low flows and high temperatures many of our rivers have been experiencing. 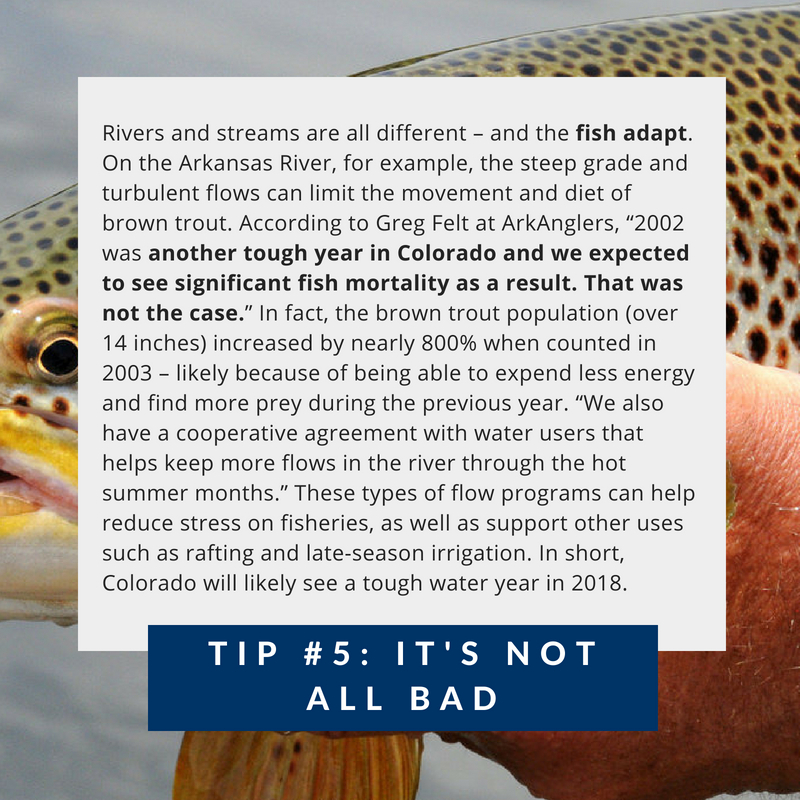 When stressful conditions like these are present, trout are more likely to not survive after catch-and-release, even if done properly. If you have not yet seen the warnings about fishing when the water temperatures are above 65 degrees, check out our Trout Thermometer to know when it's time to give the fish a break. CPW will not legally enforce the voluntary closures, but simply ask anglers to plan on going earlier in the day or try other locations. Read more about some of the voluntary closures from Grand Junction's Daily Sentinel. A mandatory fishing closure in place at the tailwater of the Yampa River has been rescinded (see 7/19/18 news release). CPW regularly updates their fishing conditions online here. So be sure to check before you head out on your fishing excursion. Still need more information? Contact your local CPW office. Doom and Gloom, but what can I do? Drought is plaguing most of Colorado and pretty much everywhere in the southwest. Every summer, it feels like we are saying the same thing and warning everyone about not enough snowpack melt, low flows and warming waters. Whether you are a native, transplant, or visitor to this great state - we can all do something to make a difference in conserving our scarce water sources. Most of these ideas are easy to do, while some take practice. Even just adopting one strategy to conserve water, can make a difference. Feel free to leave a comment about your ideas as well! 1. When brushing your teeth or shaving try not to the let faucet run. Need water? Fill up the sink instead to rinse your razor and turn off the faucet between brushing. 2. Most dishwashers do not require any pre-rinsing, especially if they are relatively new. Instead, scrape off any food (preferably into compost) then run the cycle when the dishwasher is full. Some dishwashers even have a "water saver" cycle you can try. 3. Are you still rinsing your produce under the faucet? Try filling a bowl or tub to rinse them in and reuse the water on your houseplants or garden outside. 4. Try using a broom to clean off sidewalks, driveways, patios, or decks instead of the hose. 5. Tired of mowing the lawn? Check out xeriscaping alternatives to replace or reduce the amount of grass in your yard. If you do need to mow, keep the trim length minimal to reduce evaporation and increase soil moisture retention which will reduce your need to water it. Having longer grass will help it grow a stronger root system and increase it's drought and pest tolerance. 6. Are you still trout fishing when the water is climbing above 65 degrees? Giving fish a break can increase their chances of surviving during this stressful time. Check out our handy water temperature thermometer for trout. There are plenty of ways to conserve water in the west and with the rise of energy and resource saving standards in our appliances and home systems, it's becoming easier and easier to use less water without even thinking about it. If you are interested in learning more about the innovative ideas out there regarding water conservation, check out the links below. 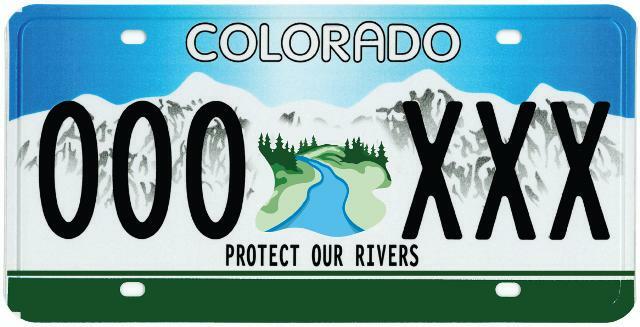 Colorado's rivers and the trout that live in them will thank you! What is greywater? How is it used? What's in a drought? That which we call a drought. Rafters enjoy floating down the Colorado River in the Grand Canyon. Boating down the Colorado River below Havasu Creek in Grand Canyon National Park. NPS photo by Mark Lellouch. A report published by the Colorado River Research Group takes a look at the word "drought" and why it might be time to retire its usage based on the data seen from the Colorado River Basin. 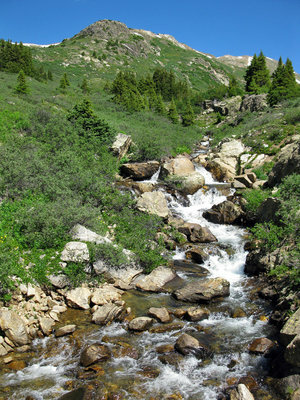 Water is a hot commodity for ranchers across Colorado. According to that definition, a drought refers to a period of time which would mean there is a beginning and a foreseeable end. What we are noticing in Colorado is a drought that seems to have no end. That's why scientists from Arizona, Utah, California, Colorado, and Michigan are starting to label the changes we have seen in the Colorado River Basin as aridification. It's true that the word does not share the same one-syllable punch that drought delivers, but the research groups says that it better defines what is happening to the area. A riverbed dried up along the Rio Grande. What this study suggests is that the years upon years of weather patterns we have seen in Colorado are pointing to a larger trend that is simply more than just a temporary drought or warming. If you are interested in learning more, you can read the full report with the link below. As always, what do you think? Is it time to start calling a spade a spade? P.S. Did you catch the Shakespeare reference?